Looking for a delicious way to help students in need? 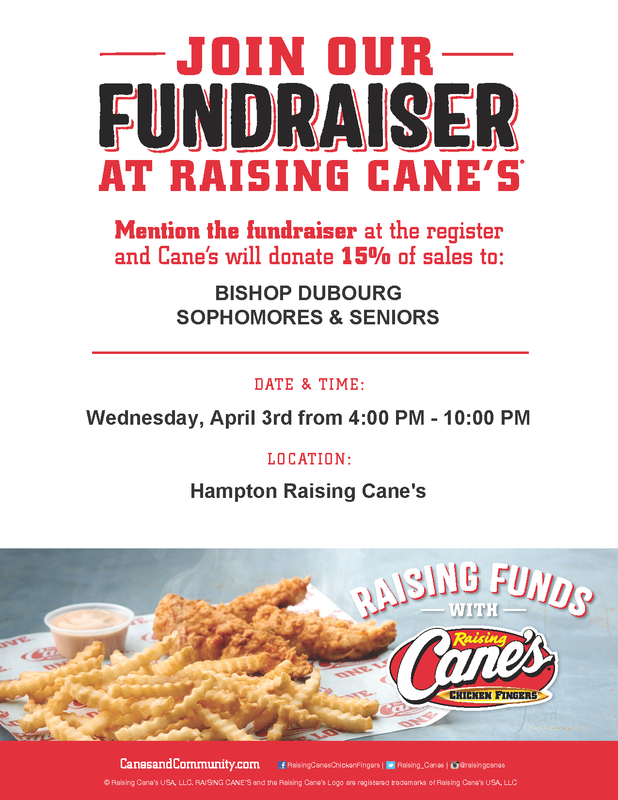 Raising Cane's Hampton location is hosting a fundraiser to benefit Bishop DuBourg's Adopt-a-Student program on April 2 and 3 from 4-10 p.m. On April 2, 15% of the sales will go to freshmen and juniors; on April 3, the proceeds will benefit sophomores and seniors. Remember to mention Bishop DuBourg and your class when you check out! Raising Cane's has also agreed to double the donation amount to the classes that bring in the most money on their respective nights.